1. 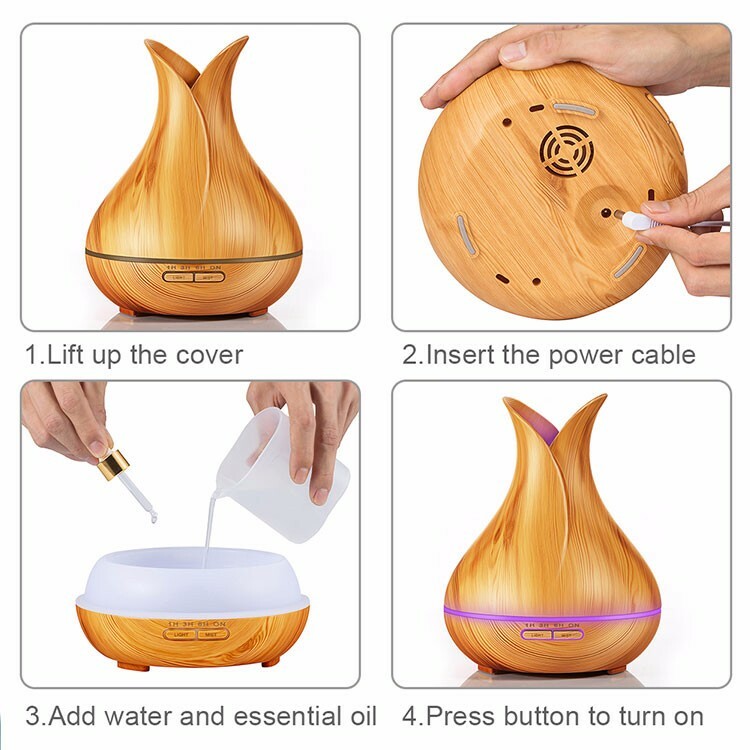 Diffuser: Add a drop of your favorite essential oil, it can help remove bad odors, bring a fresh scent. 2. 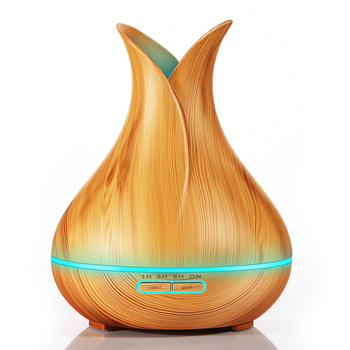 Humidifier: Use it without oils to adds moisture to your air to eliminate dryness. 3. 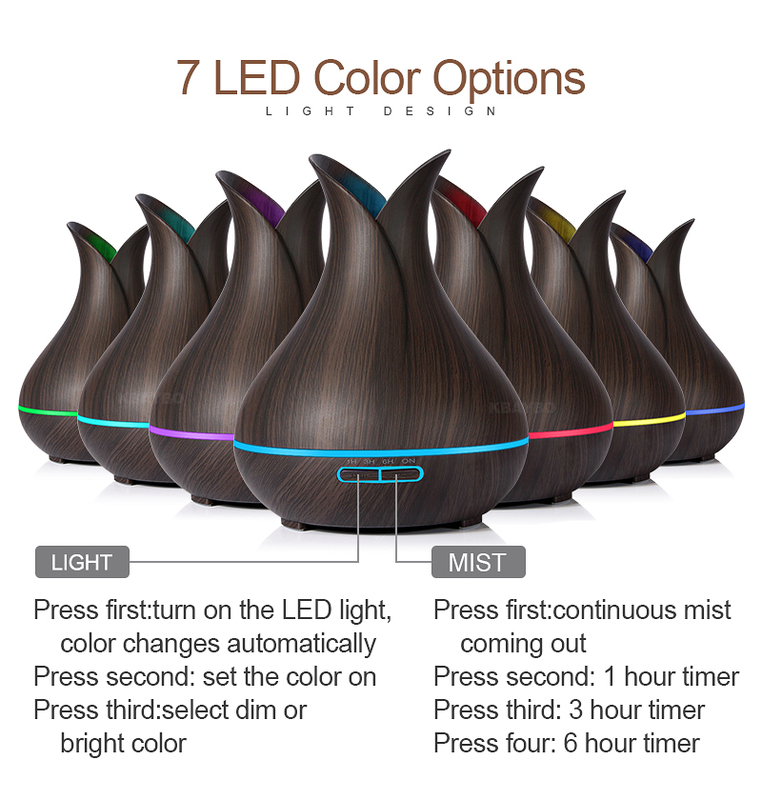 Illumination: 7 Colorful LED Light. 4. Desktop Decoration: Simple modern design to fit with any decor. 1. 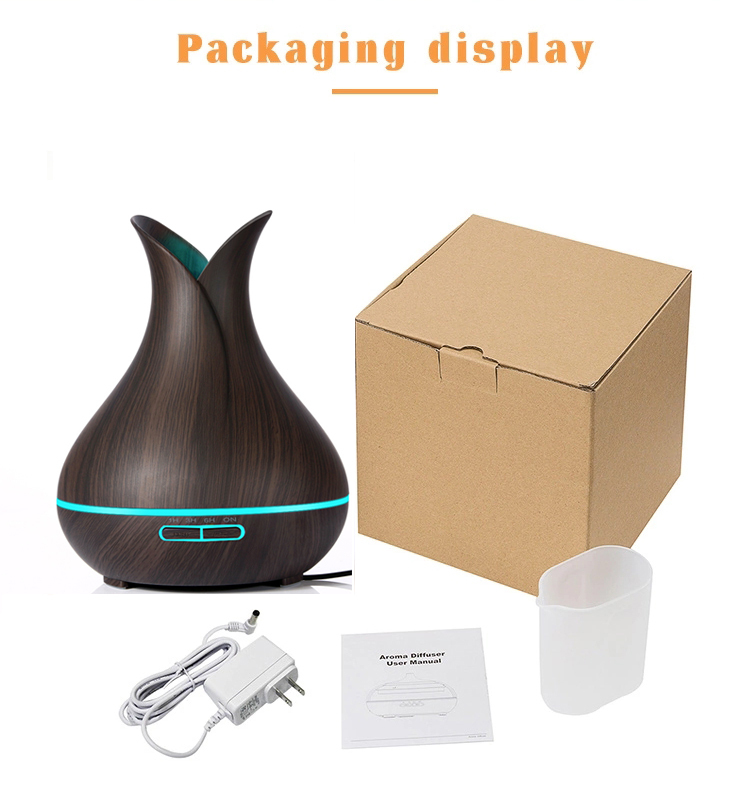 400ml Aroma diffuser with LED Light. 2. Automatic shut-off when waterless for safety. 3. 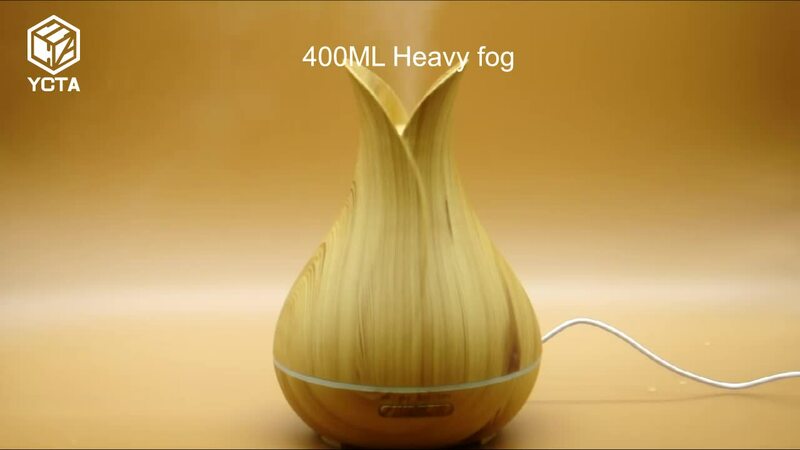 Quite, can also be used in the bedroom. 4. Can be easily cleaned within minutes. products.Please contact us for more product styles. 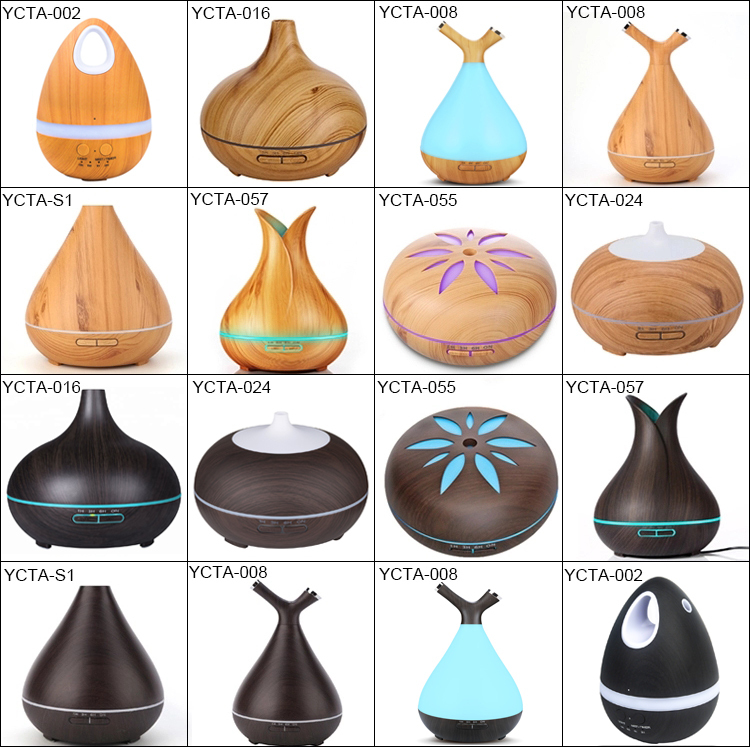 Shenzhen YCTA Technology Development Co., Ltd. as the professional manufacturer and supplier of car diffusers, ultrasonic aroma diffusers, humidifier, facial steamer, air purifiers and mini fan etc. with rich experience. Our products are environmentally friendly and already exported to America, France, Germany, Poland and 20 other countries and regions. We have attained ISO9001 certification. 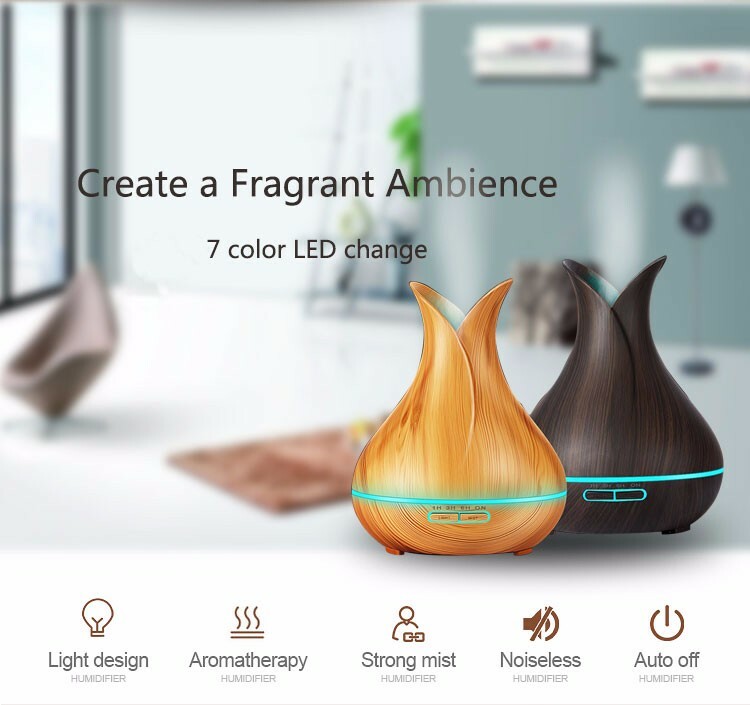 Also CE FCC ROHS is avaliable. 1. Q: Do you accept OEM service? 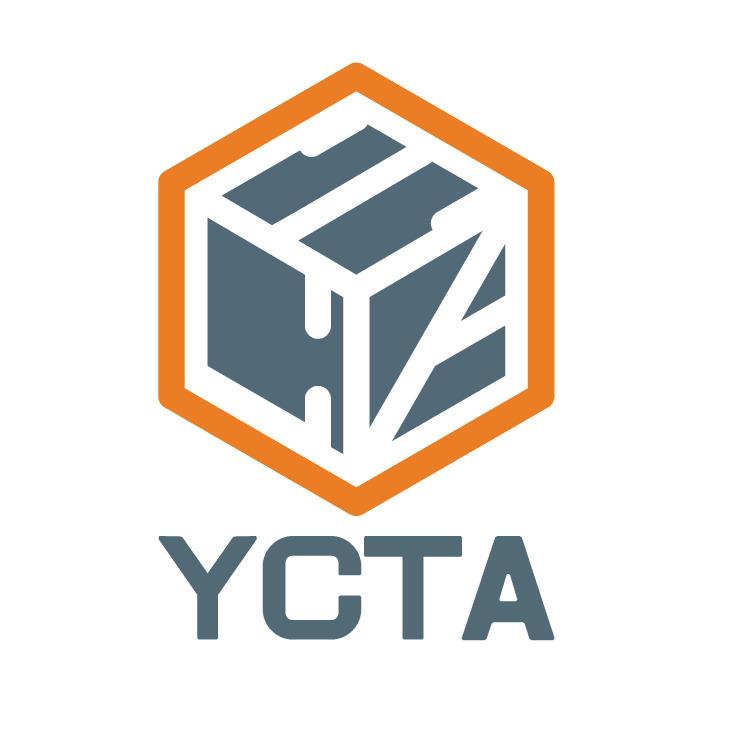 A: Yes, YCTA supply OEM/ODM service: Customized case logo, customized package, customized manual, customized booting logo. 2. 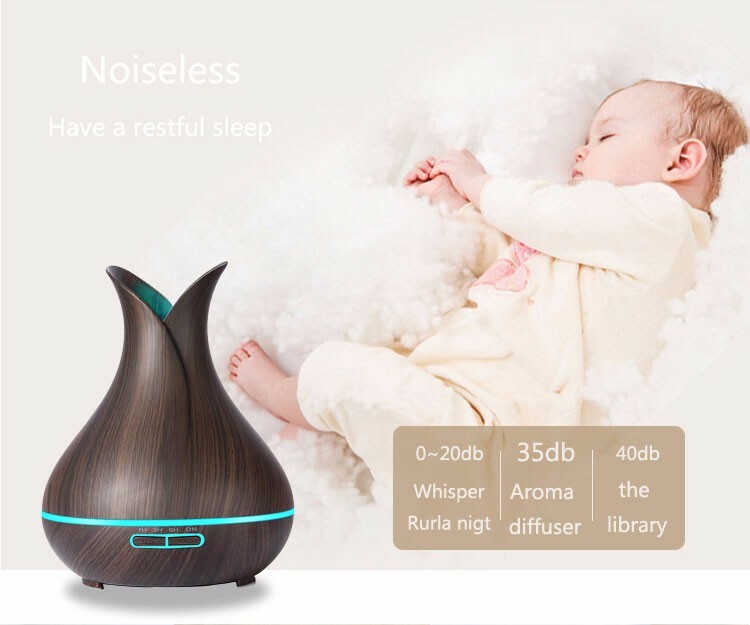 Q: What is the delivery time for OEM / ODM order? A: 5-7 working days after all order details confirmed. 3. Q: How could I get samples? 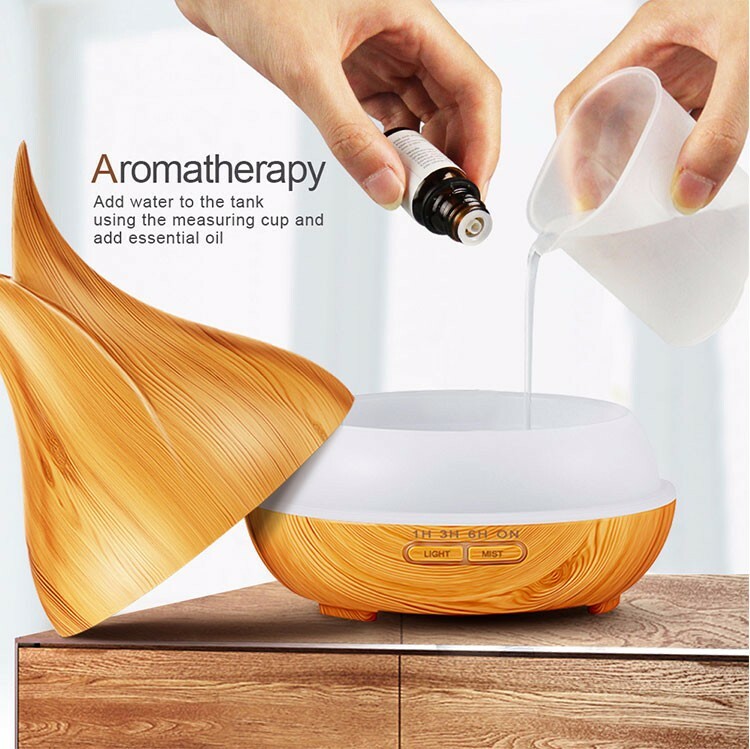 A: Due to most of our products are hottest selling products, YCTA do not provide free samples. 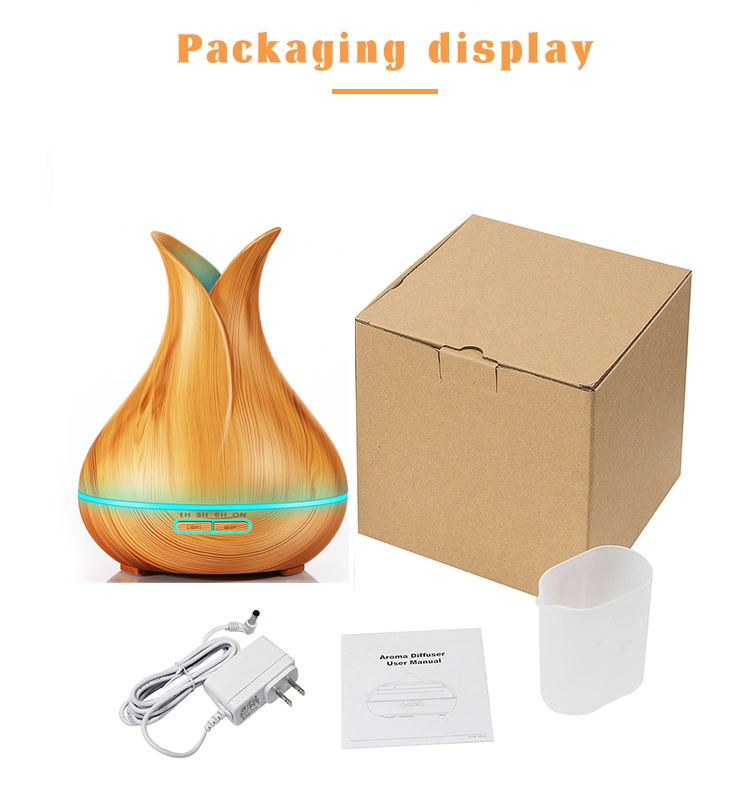 If you need to order sample for checking-up, we'd like to ask you to pay for the samples and shipping fee. Afterwards when you place order to us, we will refund you the sample fee or send one more item by free. 4. Q: What kind of Shipping way? 5. Q: How many days the samples can be sent out? A. Normally takes 1-2 working days. 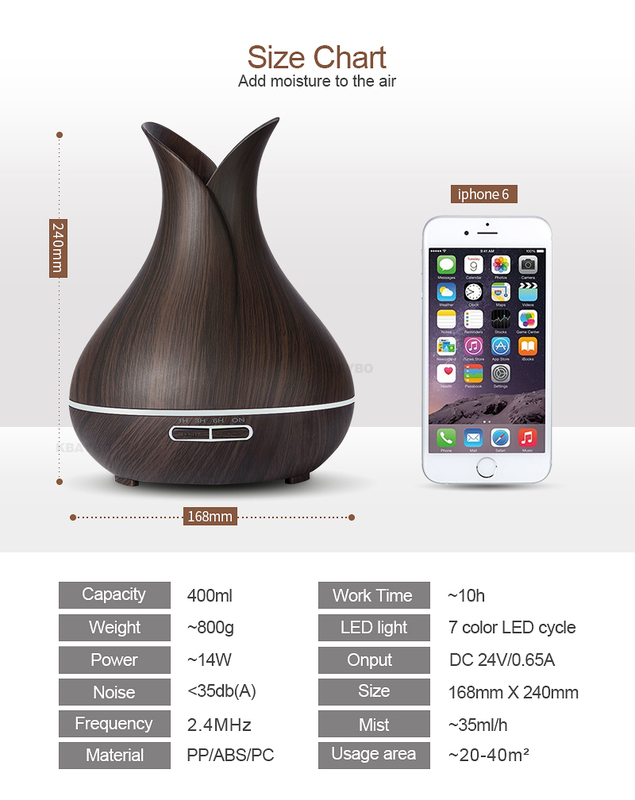 Shenzhen Yuancheng Tianan Technology Development Co., Ltd.